Sarasota Bay is a subtropical coastal lagoon enclosed by a necklace of barrier islands to the west and the mainland of Manatee and Sarasota Counties to the east. This coastal lagoon, with its unique embayments, tidal tributaries, small creeks, coves, inlets, and passes, is bounded by Anna Maria Sound to the north and the area just north of Venice Inlet to the south. An estuary is a partially enclosed body of water along the coast where freshwater from land mixes with salt water from the ocean. The sea has had a heavy hand in shaping Florida's landforms. About 15,000 years ago, during the last glacial period, glaciers began to retreat to the Earth's poles and release large amounts of water, causing global sea levels to rise about 35 meters. This rise inundated the west Florida shelf and gave the Florida peninsula the shape that we recognize today. 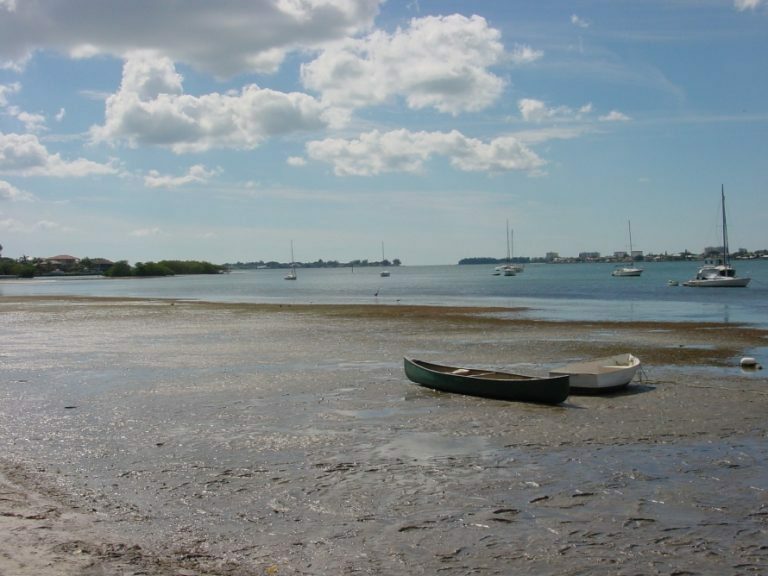 The barrier islands that enclose Sarasota Bay are quite young - the oldest are estimated to have formed only 3,000 to 5,000 years ago. Human activity has also changed the physiography of the Sarasota Bay watershed. Evidence of prehistoric cultures in the area dates back to 10,000 B.C.E. Archaeological studies have shown that these civilizations created large shell middens for home sites and lookouts and dredged canals for inland access. More recent human settlers of the watershed continued digging canals for drainage and dredged channels for boat passage. 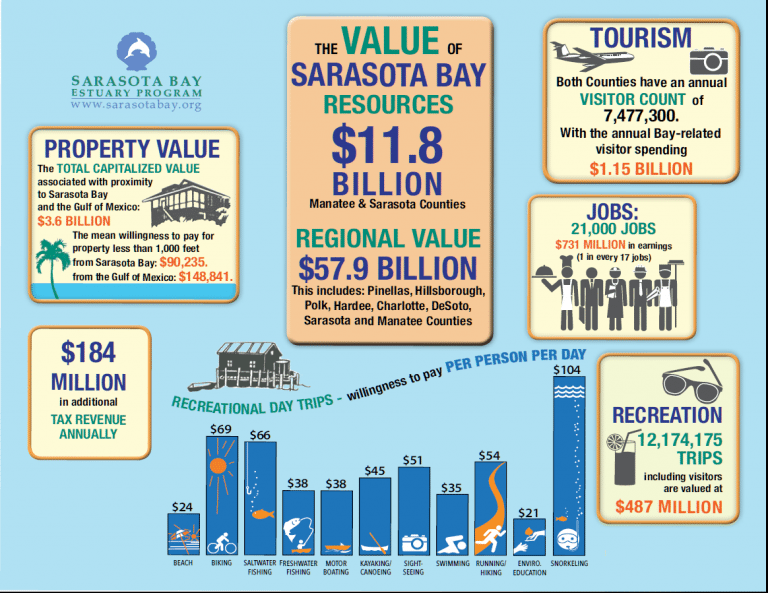 Sarasota Bay Economic Valuation Study. Sarasota Bay has supported thriving human civilizations and wildlife populations for thousands of years. With proper management and public buy-in, Sarasota Bay will continue to provide habitat for wildlife, and economic and recreational opportunities for residents and visitors. A healthy Sarasota Bay is essential for a thriving local and regional economy. The Sarasota County Water Atlas and Manatee County Water Atlas websites host information about Sarasota Bay and its neighboring waterbodies. Visit these sites to download water quality data, view historic images and maps, experience the area through virtual watershed tours, and more.